AMU B.Ed Admission 2019: Aligarh Muslim University (AMU) is one of the oldest premier Central Universities in India. The B.Ed degree is offered by the faculty of Social Sciences of the University and is available at Study Locations at Aligarh, Mallapuram, Murshidabad and Kishangarh. It is a 2 years course which is covered in four semesters. The candidates are selected on merit through an admission test conducted by the university. 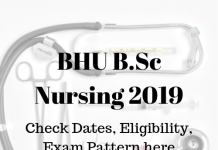 New: AMU B.Ed Form 2019 has been released for AMU Admissions 2019. The last date for the submission of the AMU B.Ed Form 2019 is 6th March. Check Here for the AMU B.Ed Form 2019 link. Aligarh Muslim University has announced the AMU B.Ed Entrance Exam 2019 Date. Find the dates in the table below. Candidates will have to meet the following eligibility criteria for admission into the AMU B.Ed 2019 programme. At least 50% marks in B.A. / B.Sc. / B. Com. / B.Tech. in aggregate and in the subject concerned and/or in the Master’s Degree in Science / Social Sciences / Humanities. Bachelor in Engineering & Technology with specialization in Science and Mathematics with 55% marks. NOTE: The candidate should have studied two school subjects at graduate/equivalent recognised Madarsa education level as main or subsidiary subjects. The list of applicable school subjects is given in the section below. In this step, the candidate was required to fill personal details like username, Email ID, Password and Name. After Registering, the applicant needed to fill up the application form. The candidates were to provide the details of academic qualification starting from class 10, communication address and other information carefully. The next step after the application form filling will be uploading of images. The applicants will be required to upload the scanned images of passport size photograph, signature and left-hand thumb impression. The size of the scanned images should not exceed 40 KB. NOTE: The candidates will be instructed to keep 10 copies of the uploaded photograph as they will be required throughout the entire admission procedure. The candidates will be required to fill in the special categories they belong to in this step. Please check the different special categories on the Table below. NOTE: Admission through special categories will be possible only on valid documentary proof. Please select “NO” if you don’t belong to any special category. After paying the application fee, applicants will have to accept the “declare” option and submit the application form. The filled up application form in the form of PDF will be generated on the screen. Candidates will be instructed to download and take the printout of the same for future reference. Once the Application form of AMU 2019 Exam will be submitted along with the application fee payment, the applicants will not be allowed to edit or make any changes in any field in the application form later on. Therefore, the candidates will be instructed to fill up the application form carefully and review it at each step while filling the same. 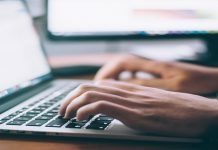 In case, if the correction to be made will be necessary, such candidates will be required to create a new user login and fill the form again and the processing charges will be paid as usual. Admissions will be available at the following study locations. The latest update will be available if there are any changes regarding the centres and colleges. NOTE: Malayalam and Bengali subjects were only to be considered as School Subject at Malappuram and Murshidabad Centres respectively. Candidates will be required to paste their recent passport size colour photograph in the space provided on the downloaded Admit Card (same as affixed on the Application Form). The candidate will have to bring an extra photograph to be pasted on the attendance sheet at the time of the admission test. 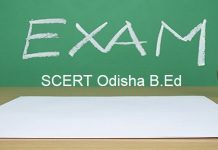 The Test centres where AMU B.Ed Entrance Exam 2019 will be conducted will be announced by the University at the time of the release of the official notification. Candidates will be allotted the test centres as per their preference, the choice will be required to be made out of the given options. The answer key for AMU B.Ed Entrance Exam 2019 will be available on the official website of the University. It will help the candidates in the evaluation of their performance in the AMU B.Ed 2019 entrance exam. Answer keys are the solutions to the questions asked in the admission test. It provides the candidate with an insight into his/her performance in the test and what can be expected. The AMU B.Ed 2019 result shall be available on the website amucontrollerexams.com. Please check the website frequently. The university shall not be responsible if a candidate fails to receive his/her result on time. No separate intimation letters will be sent to the candidates Selected for admission. The University may declare ‘Chance Memo (Waiting) List ’ in addition to the list of selected candidates. Report at the stipulated date and time at the venue without fail. Produce the original Marksheets/Certificates, including the statement of marks of the qualifying examination with the requisite percentage of marks at the time of reporting for admission. (Internet downloaded Marksheet /Gradesheet/ Certificates shall be accepted only on attestation by the Controller / Registrar / Issuing Authority of the awarding University). Submit the Original Migration and Character Certificates from the Head of the Institution/University last attended at the time of admission. In case original mark sheets and migration and character certificates will not be available at the time of admission, the candidate has to take an undertaking on proforma available at official website to submit them within two months from the date of admission (one month in case of migration certificate). Name Removal Certificate from the rolls of the concerned Faculty / College / Institution (if already enrolled to any full-time course of study in any institution), if applicable. The fee will be required to be paid at the Cash Counter of the admission Venue either in Cash or the Bank Draft from a Nationalized Bank to be prepared in favour of the Finance Officer, AMU, Aligarh payable at Aligarh. For updated information do keep visiting our website. We would very much like to help you with your doubts. Please write your doubts and Questions, if you have any, in the comments section below. We shall get back to you at the earliest possible.